A proactive approach to building healthy, Christ-centered marriages that result in strong families. We frequently provide a nine-week marriage class for those looking to strengthen their marriage. 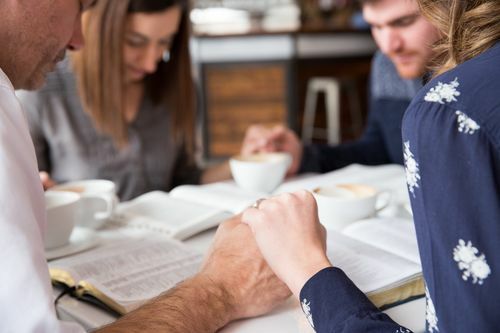 Marriage mentoring identifies, equips and empowers couples to disciple other married couples by consistently spending time together as couples, sharing life experiences and learning more about God and His design for marriage together. A biblically based premarital mentorship program designed to help dating or engaged couples prepare for marriage. Each participant is engaged individually and as a couple. 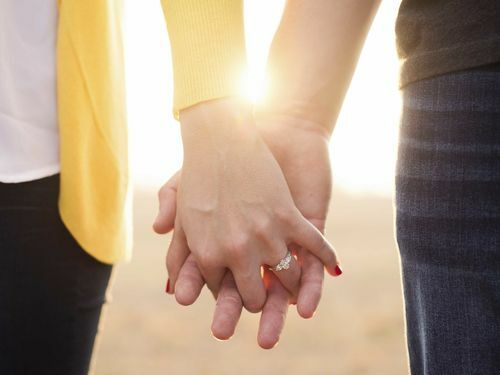 We frequently offer a nine-week course that will help you discover how your marriage can thrive and be more fulfilling than you ever thought possible. Based on the “Love Bank” model from the book, His Needs, Her Needs by Dr. Willard Harley, you’ll learn how communication and behavior styles affect the way you and your spouse act and react to each other. Through an interactive learning process, you’ll identify behaviors that may be damaging your marriage, develop healthy ways to deal with marital conflict, and take concrete steps to meet each other’s needs better than you ever have before. This class is limited to 12 couples, and is first-come, first-served. One of the most effective ways to make a good marriage great, and a struggling marriage strong, is by getting involved in marriage mentoring. Here, mentors and mentees consistently spend time together as couples, sharing each other’s life experiences and learning more about God and His design for marriage. Both mentors and mentees that have completed the mentoring process give powerful testimonies of how meeting regularly with another couple completely enriched or restored their marriage. Mentors are certified after attending a comprehensive training designed to effectively equip them to walk alongside another married couple who is seeking advice and help for their marriage. Have you wondered if anyone else ever experiences trials in their marriage the way you are now? While you may sometimes think surely no one has ever gone through what you’re currently experiencing, truth is, many couples have. And, many of them who have figured out how to overcome their trials are willing to help others find solutions through a mentoring relationship. 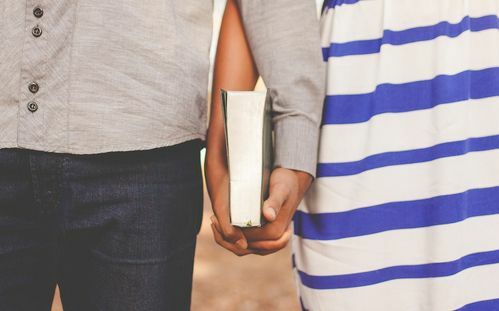 If this describes you, or you are simply looking for some guidance on how to make your good marriage better, we encourage you to keep reading. Mentee couples are typically paired with certified mentor couples after first completing an online information form, taking an online relationship and personality assessment, and meeting with a member from the marriage mentoring leadership team. Interested in learning more about Marriage Mentoring? I Promise is our mentoring program for pre-marriage couples. It is designed to help dating or engaged couples prepare for marriage. Each participant is engaged individually, and as a couple with thought-provoking questions about Biblical truth and their life experiences. Each workbook includes access to an online relationship assessment, which helps couples better understand each other's unique personalities, strengths, and communication keys and barriers. The result is a couple better prepared for all God has in store for them in marriage. Sessions include the topics of covenant commitment, roles in marriage, communication, conflict resolution, forgiveness, sexuality and finances. Interested in learning more about Premarital Counseling?